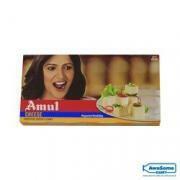 Amul cheese is a rich source of calcium and milk proteins. 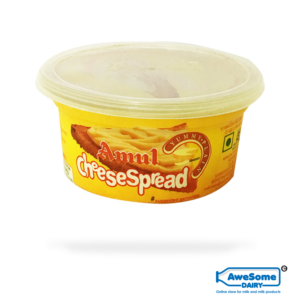 Its made from pure cow/ buffalos’ milk. 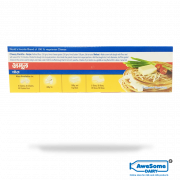 Proven in the development of stronger bones and Teeth. 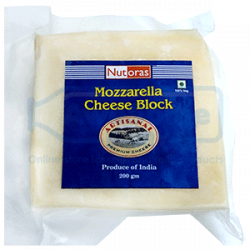 Cheese Makes a perfect snack partner. 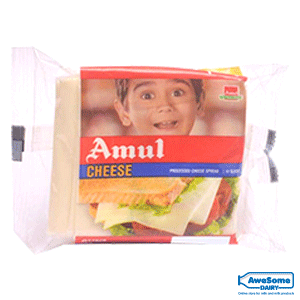 Amul pasteurized cheese is rich in taste and texture. 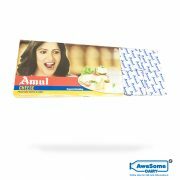 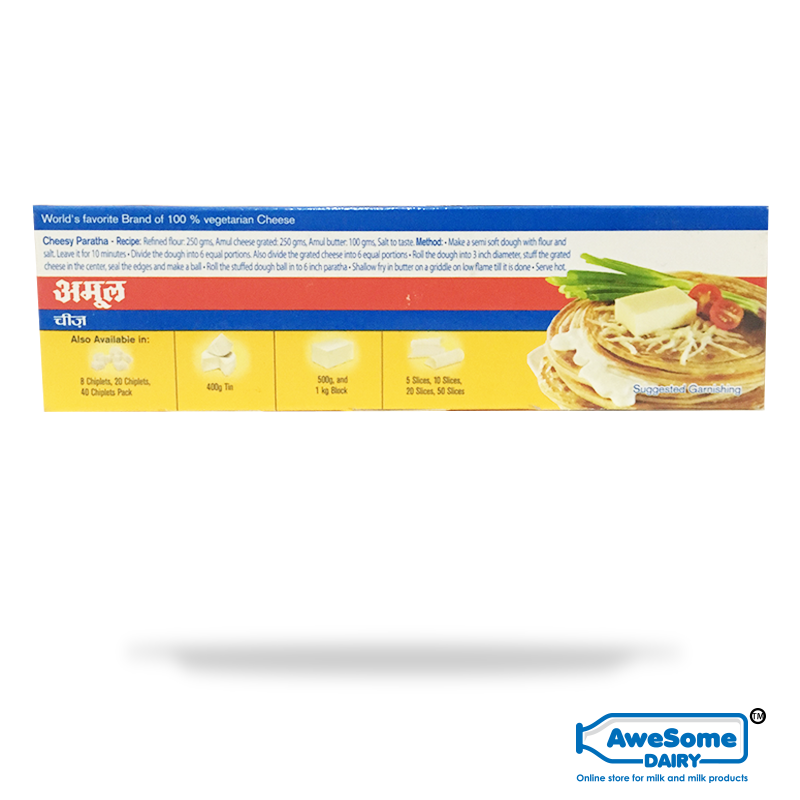 Amul is a leading dairy product brand for ages which supplies the wide variety of dairy products of best quality and taste. 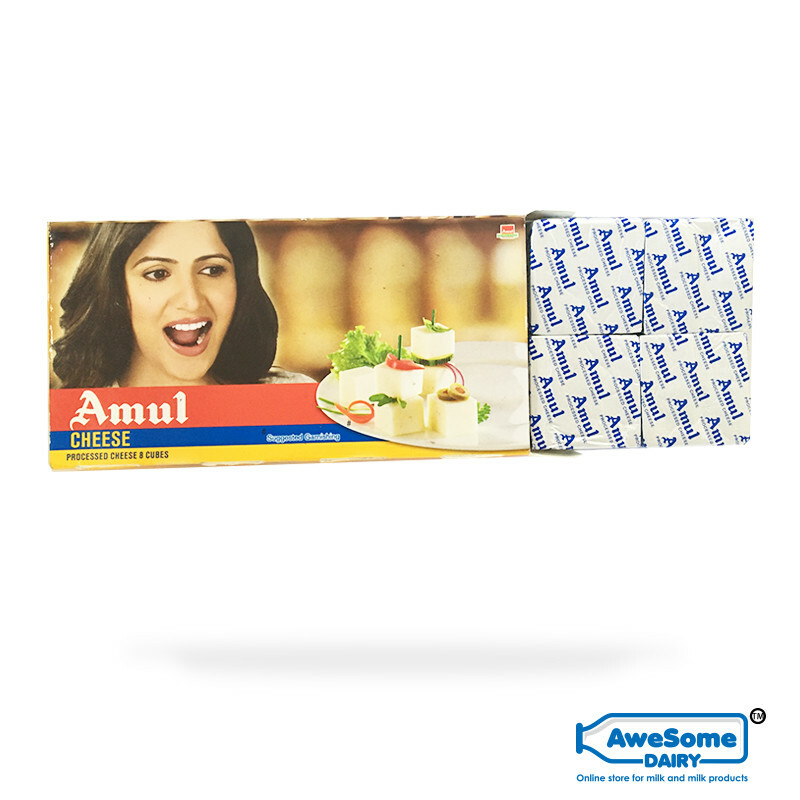 Amul Cheese is a good source of protein, vitamin, and calcium. 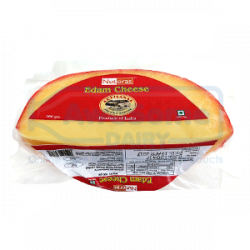 Cheese is made from best quality of buffalo/cow’s milk. 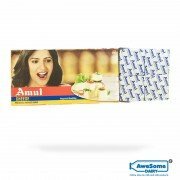 Cheese tastes superb when added between toasted wheat bread along with cucumber and tomato slices. 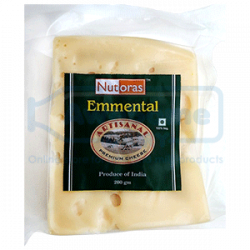 It has some proven benefits, regular consumption of cheese helps to make your teeth white and strong, protein is cheese has in muscle building, it also develops bone health and saves from a problem of having osteoporosis in future. 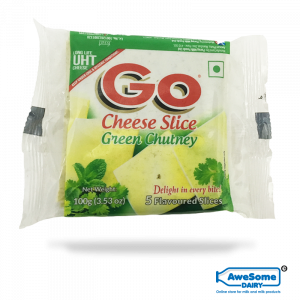 Healthy in taste and rich in texture, cheese can also be used as a sprinkler for dressing snacks and food. 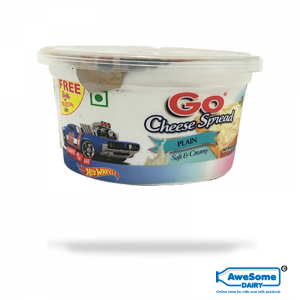 Amount as per 100g: Energy 314 kcal, Energy from Fat 234 kcal, Total Fat 26g, Saturated fat 16g, cholesterol 60 mg, protein 20g, calcium 343mg.